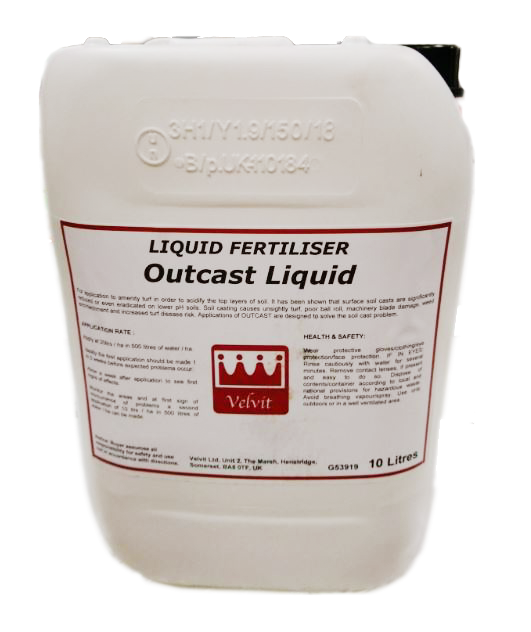 Outcast is a specialist ammonium sulphate based fertiliser with added surfactants for application to any amenity turf to acidify the surface and lowering the pH. It can significantly reduce or even eradicate the soil casting of earthworms. An initial application of 20 ltr/ha followed up with treatments of 10 ltr/ha as required. Ideally the first application should be made 1 to 2 weeks before expected problems occur. Allow a week after application to see first signs of effects. 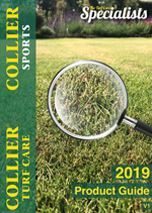 Monitor the areas and at first sign of reoccurrence of problems a second application of 10 ltrs / ha in 500 litres of water / ha can be made.